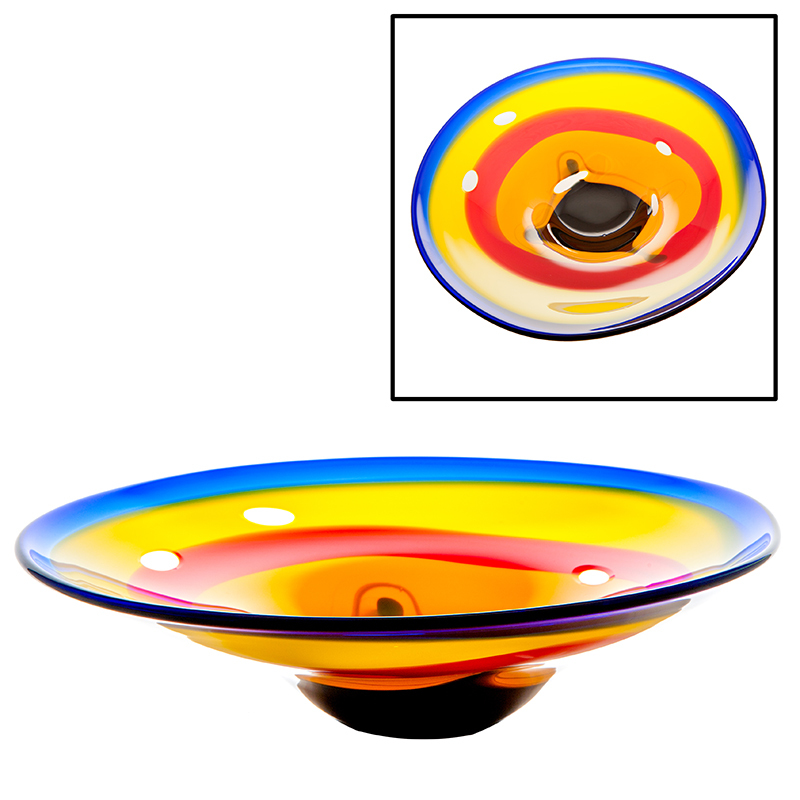 The fabulous Coolfin Centrepiece Bowl stands approx 14″ in Diameter X 6″ in height. Each piece, designed in house by our master crafstmen, this work of art takes over an hour to blow. Each colour is expertly laid down in trails by our master blowers and worked until the correct shape is achieved. To enhance the beauty of the piece, our master cutter decides where each cut is placed, and using a series of diamond wheels and a lathe he cuts into the colour, exposing the flawless crystal underneath. This centrepiece has the ‘wow factor’ ! !